[Gr.,=wanderer], a large nonluminous body of rock or gas that orbits the sun or another star, has a rounded shape due to gravity, and has cleared its orbit of smaller objects. hot incandescent sphere of gas, held together by its own gravitation, and emitting light and other forms of electromagnetic radiation whose ultimate source is nuclear energy. large aggregation of stars, gas, dust, and usually dark matter, typically containing billions of stars. Recognition that galaxies are independent star systems outside the Milky Way came from a study of the Andromeda Galaxy (1926–29) by Edwin P.
totality of matter and energy in existence. The study of the origin of the universe, or cosmos, is known as cosmogony, and that of its structure and evolution, cosmology. The age of the universe depends on which theory of cosmology one accepts. ..... Click the link for more information. at large. [Gr.,=longhaired], a small celestial body consisting mostly of dust and gases that moves in an elongated elliptical or nearly parabolic orbit around the sun or another star. Comets visible from the earth can be seen for periods ranging from a few days to several months. form of divination based on the theory that the movements of the celestial bodies—the stars, the planets, the sun, and the moon—influence human affairs and determine the course of events. ..... Click the link for more information. . In fact, an early motivation for the detailed study of planetary positions was the preparation of horoscopes. The highest development of astronomy in the ancient world came with the Greeks in the period from 600 B.C. to A.D. 400. The methods employed by the Greek astronomers were quite distinct from those of earlier civilizations, such as the Babylonian. The Babylonian approach was numerological and best suited for studying the complex lunar motions that were of overwhelming interest to the Mesopotamian peoples. The Greek approach, on the contrary, was geometric and schematic, best suited for complete cosmological models. Thales, an Ionian philosopher of the 6th cent. B.C., is credited with introducing geometrical ideas into astronomy. Pythagoras, about a hundred years later, imagined the universe as a series of concentric spheres in which each of the seven "wanderers" (the sun, the moon, and the five known planets) were embedded. Euxodus developed the idea of rotating spheres by introducing extra spheres for each of the planets to account for the observed complexities of their motions. This was the beginning of the Greek aim of providing a theory that would account for all observed phenomena. Aristotle (384–322 B.C.) summarized much of the Greek work before him and remained an absolute authority until late in the Middle Ages. Although his belief that the earth does not move retarded astronomical progress, he gave the correct explanation of lunar eclipses and a sound argument for the spherical shape of the earth. [Lat.,=sun stands still], in astronomy, either of the two points on the ecliptic that lie midway between the equinoxes (separated from them by an angular distance of 90°). ..... Click the link for more information. in two cities whose distance apart was known. ..... Click the link for more information. and used it to determine astronomical distances from the observed angular positions of celestial bodies. He recognized that astronomy requires accurate and systematic observations extended over long time periods. He therefore made great use of old observations, comparing them to his own. Many of his observations, particularly of the planets, were intended for future astronomers. He devised a geocentric system of cycles and epicycles (a compounding of circular motions) to account for the movements of the sun and moon. , historically the most influential of the geocentric cosmological theories, i.e., theories that placed the earth motionless at the center of the universe with all celestial bodies revolving around it (see cosmology). the sun and the surrounding planets, natural satellites, dwarf planets, asteroids, meteoroids, and comets that are bound by its gravity. The sun is by far the most massive part of the solar system, containing almost 99.9% of the system's total mass. , any alteration in the relative apparent positions of objects produced by a shift in the position of the observer. In astronomy the term is used for several techniques for determining distance. ..... Click the link for more information. technique. His 13-volume treatise, the Almagest, summarized much of ancient astronomical knowledge and, in many translations, was the definitive authority for the next 14 centuries. first modern European theory of planetary motion that was heliocentric, i.e., that placed the sun motionless at the center of the solar system with all the planets, including the earth, revolving around it. (AU), mean distance between the earth and sun; one AU is c.92,960,000 mi (149,604,970 km). The astronomical unit is the principal unit of measurement within the solar system, e.g., Mercury is just over 1-3 AU and Pluto is about 39 AU from the sun. three mathematical statements formulated by the German astronomer Johannes Kepler that accurately describe the revolutions of the planets around the sun. Kepler's laws opened the way for the development of celestial mechanics, i.e. dark, usually irregularly shaped spots on the sun's surface that are actually solar magnetic storms. The spots are darker because the temperature of the spots is lower than that of the surrounding photosphere (the visible surface of the sun). ..... Click the link for more information. ) discredited the ancient belief in the perfection of the heavens. These findings were announced in The Sidereal Messenger, a small book published in 1610. Galileo's Dialogue on the Two Chief Systems of the World (1632) was an eloquent argument for the Copernican system over the Ptolemaic. However, Galileo was called before the Inquisition and forced to renounce publicly all doctrines considered contrary to Scripture. branch of science traditionally defined as the study of matter, energy, and the relation between them; it was called natural philosophy until the late 19th cent. and is still known by this name at a few universities. in astronomy, unit of length equal to the distance light travels in one sidereal year. It is 9.461 × 1012 km (about 6 million million mi). Alpha Centauri and Proxima Centauri, the stars nearest our solar system, are about 4.3 light-years distant. ..... Click the link for more information. ), a figure later shown to be 40% too large. life history of a star, beginning with its condensation out of the interstellar gas (see interstellar matter) and ending, sometimes catastrophically, when the star has exhausted its nuclear fuel or can no longer adjust itself to a stable configuration. scientific facility especially equipped to detect and record naturally occurring scientific phenomena. Although geological and meteorological observatories exist, the term is generally applied to astronomical observatories. in astronomy, statement that the distances between galaxies (see galaxy) or clusters of galaxies are continuously increasing and that therefore the universe is expanding. , class of variable stars that brighten and dim in an extremely regular fashion. The periods of the fluctuations (the time to complete one cycle from bright to dim and back to bright) last several days, although they range from 1 to 50 days. the galaxy of which the sun and solar system are a part, seen as a broad band of light arching across the night sky from horizon to horizon; if not blocked by the horizon, it would be seen as a circle around the entire sky. , 1893–1960, German-born American astronomer. From 1919 to 1931 he was on the staff of the Hamburg observatory; from 1931 to 1958, at the Mt. Wilson observatory. two broadly contrasting distributions of star types that are characteristic of different parts of a galaxy. Population I stars are young, recently formed stars, whereas population II stars are old and highly evolved. ..... Click the link for more information. ). In 1951 a Yerkes Observatory group led by William W. Morgan detected evidence of two spiral arms in the Milky Way galaxy. physical theory, introduced by Albert Einstein, that discards the concept of absolute motion and instead treats only relative motion between two systems or frames of reference. , one of a class of blue celestial objects having the appearance of stars when viewed through a telescope and currently believed to be the most distant and most luminous objects in the universe; the name is shortened from quasi-stellar radio source (QSR). extremely small, extremely dense star, with as much as double the sun's mass but only a few miles in radius, in the final stage of stellar evolution. Astronomers Baade and Zwicky predicted the existence of neutron stars in 1933. ..... Click the link for more information. emitting lighthouse-type beams of energy, the end result of the death of a star in a supernova explosion. study of celestial objects by means of the infrared radiation they emit, in the wavelength range from about 1 micrometer to about 1 millimeter. All objects, from trees and buildings on the earth to distant galaxies, emit infrared (IR) radiation. study of astronomical objects by analysis of the most energetic electromagnetic radiation they emit. Gamma rays are shorter in wavelength and hence more energetic than X rays (see gamma radiation) but much harder to detect and to pinpoint. object constructed by humans and placed in orbit around the earth or other celestial body (see also space probe). The satellite is lifted from the earth's surface by a rocket and, once placed in orbit, maintains its motion without further rocket propulsion. ..... Click the link for more information. , launched in 1990, has made possible visual observations of a quality far exceeding those of earthbound instruments. See A. Berry, Short History of Astronomy (1961); J. L. Dreyer, History of Astronomy from Thales to Kepler (2d ed. 1953); A. Koyré, The Astronomical Revolution (1973); P. Maffei, Beyond the Moon (1978); P. Moore, ed. The International Encyclopedia of Astronomy (1987); S. Maran, ed., The Astronomy and Astrophysics Encyclopedia (1991); C. Peterson and J. C. Brandt, Astronomy with the Hubble Space Telescope (1995). (ă-stron -ŏ-mee) The observational and theoretical study of celestial bodies, of the intervening regions of space, and of the Universe as a whole. Astronomy is one of the oldest sciences and has developed in step with advances in instrumentation and other technology and with advances in physics, chemistry, and mathematics. The main branches are astrometry, celestial mechanics, and the major modern field of astrophysics with its subsections of cosmology, radio astronomy, and X-ray, gamma-ray, infrared, and ultraviolet astronomy. Stellar statistics is another modern field. An illustration of the great Viennese telescope, constructed in the mid-nineteenth century. Reproduced by permission of Fortean Picture Library. Astronomy is the branch of natural science that studies the celestial bodies. The word is a combination of astron, Greek for “star,” and nomos, Greek for “law.” Astrology was formerly part of astronomy, with astrological determinations being viewed as a “practical application” of astronomical knowledge. Prior to the modern period, all of the great astronomers were also astrologers, including such luminaries as Tycho Brahe and Johannes Kepler. Several hundred years ago, however, the two fields began to diverge, and today there are two distinct communities: astrologers, who are largely ignorant of astronomy, and astronomers, who know almost nothing about astrology. For the most part, contemporary astronomers despise astrology as a medieval superstition. This is not, however, because astrology fails to pass empirical tests of validity, but because astronomers reject astrology out of hand. When skeptics have actually subjected astrology to empirical tests, they have found—sometimes to their dismay—correlations between celestial and terrestrial phenomena. For their part, astrologers are more often than not woefully ignorant of astronomy. This ignorance is sometimes compounded by an attitude that condemns all science as narrow-minded and spiritually dead. There are, however, a handful of contemporary astrologers who have explored current astronomy for potential astrological insights, including Michael and Margaret Erlewine, whose Astrophysical Directions offers a starting point for astrologers interested in pursuing this line of research, and Philip Sedgwick, whose Astrology of Deep Space is a creative follow-up on the Erlewines’ work. Brau, Jean-Louis, Helen Weaver, and Allan Edmands. Larousse Encyclopedia of Astrology. New York: New American Library, 1980. Erlewine, Michael, and Margaret Erlewine. Astrophysical Directions. Ann Arbor, MI: Heart Center School of Astrology, 1977. Sedgwick, Philip. The Astrology of Deep Space. Birmingham, MI: Seek-It Publications, 1984.
the science of the structure and evolution of cosmic bodies, their systems, and the universe as a whole. Objectives and branches of astronomy. Astronomy studies the bodies of the solar system, stars, galactic nebulas, interstellar matter, our galaxy (the Milky Way system) and other galaxies, their distribution in space, and their motion, physical nature, interactions, origins, and evolution. Astronomy also studies and develops means for applying the observations of celestial bodies to the practical needs of man. Examples of this are time service, the determination of geographical coordinates and azimuths on the earth’s surface, the study of the shape of the earth from observations made by artificial earth satellites, the stellar orientation of artificial satellites and space probes, and other similar applications. Astronomy contributes to the development of a correct materialistic understanding of the universe. Astronomy is closely related to other precise sciences, in particular to mathematics, physics, and several branches of mechanics. It utilizes the accomplishments of these sciences and in turn affects their development. Depending on the object of study and the methods of research, astronomy is divided into a number of disciplines (branches). Astrometry is concerned with the construction of a basic inertial system of coordinates for astronomical measurements, the determination of the positions and motions of celestial objects, the study of the laws of the earth’s rotation, the calculation of time, and the determination of the values of fundamental astronomical constants. Astrometry includes spherical astronomy, which uses mathematical methods to determine the visible positions and motions of celestial objects, and practical astronomy, which is particularly concerned with the theory of angle-measuring instruments and their applications in determining time, geographical coordinates (latitude and longitude), and azimuthal directions. Celestial mechanics (theoretical astronomy) studies the motions of celestial bodies, including artificial objects, under the influence of universal gravitation (astrodynamics) as well as the equilibrium configurations of celestial bodies. Stellar astronomy considers the star system forming our galaxy, the Milky Way; extragalactic astronomy deals with other galaxies and their systems. Astrophysics, which includes astrophotometry, astrospectroscopy, and other branches, studies physical phenomena and chemical processes occurring within celestial bodies, their systems, and cosmic space. Radio astronomy studies the nature and spatial distribution of the cosmic sources of radio waves. The construction of artificial earth satellites and space probes led to the development of extra-atmospheric astronomy, a field that has a promising future. Cosmogony deals with the origin of individual celestial bodies as well as of their systems, in particular that of the solar system. Cosmology studies the laws and structure of the universe as a whole. Ancient times. Astronomy arose in remote antiquity as a result of the need to determine time and to guide travelers in their journeys. Even simple observations of heavenly bodies with the naked eye enable people to determine directions on land as well as on sea. The study of periodic celestial phenomena provided the basis for time measurement and the establishment of a calendar system, which permitted the prediction of seasonal phenomena that were important for the practical activities of man. The astronomical knowledge of the ancient Chinese has come down to us in a very incomplete and often distorted form. They were able to determine the time and the positions between the stars of the points of equinox and solstice as well as the inclination of the ecliptic to the equator. Precise synodical periods of planetary motion were known by the first century B.C. In India a chronological system was established in which the motion of Jupiter played a major role. In ancient Egypt the period of the Nile’s spring floods, on which agricultural work was dependent, was determined from observations of the stars. In Arabia, where because of the daytime heat much work was done at night, observation of the moon’s phases played an important role. In ancient Greece, where navigation was developed and where the question of determining one’s bearings was paramount, particularly before the invention of the compass, orientation methods using stars were developed. Among many peoples, particularly in Islamic countries, religious ceremonies were connected with the periodicity of celestial phenomena, mainly with the lunar phases. Sufficiently accurate astronomical observations were made and passed down to subsequent generations in remote antiquity. Because of this, the Egyptians in the 28th century B.C. had already determined the length of the year to be 365¼ days. The period of alternation of the lunar phases (synodic month) was known to an accuracy of several minutes; evidence of this is the discovery in the fifth century B.C. of the Metonic cycle, in which the lunar phases fall on the same days of the year every 19 years. The repetition period of the solar eclipse of 18 years and ten days, which was called saros, was already known in the sixth century B.C. All this information had been obtained over many centuries from observations of celestial phenomena by the people of ancient China, Egypt, India, and Greece. Those stars that seemed to be attached to a celestial dome and that with the dome underwent daily rotations practically without changing their relative positions were called “fixed” stars. In their irregular groupings, people attempted to find similarities with animals, mythological personages, and domestic objects. Thus, the stellar sky was divided into constellations that differed among different peoples. However, in addition to such fixed stars, seven moving celestial bodies have been known from time immemorial: the sun, the moon, and five planets named after Roman mythological deities—Mercury, Venus, Mars, Jupiter, and Saturn. In honor of the sun, the moon, and the five planets, seven days of the week were established; the names of the days in a number of languages still reflect this fact. Tracking the motions of the moon and planets through stellar paths was not difficult, since they were readily visible at night against the background of the surrounding stars. The motion of the sun was established through observations of bright stars that appeared at dawn—so-called heliacal ascensions. These observations, together with measurements of the midday altitude of the sun above the horizon made with the simplest devices, enabled man to make sufficiently accurate determinations of the sun’s path among the stars and to trace its annual motion along a great circle of the celestial sphere called the ecliptic, which is inclined toward the equator. Constellations located along the ecliptic were called the zodiac (from the Greek zoon—animal), since many of them bear the names of living creatures—Aries, Taurus, Cancer, Leo, and others. In ancient China the stellar sky was studied in detail and divided into 122 constellations, 28 of which were zodiacal. The ancient Chinese prepared a list of 807 stars, which preceded by several centuries the star catalog of the Greek scholar Hip-parchus. However, most peoples had 12 zodiacal constellations, and in the course of a year the sun passed each constellation in approximately one month. The moon and the planets also moved along the zodiacal constellations, although they could extend on each side of the ecliptic by several angular degrees. While the motion of the sun and the moon always proceeds in one direction—from west to east (direct motion)—the motion of the planets is more complex and at times occurs in the opposite direction (retrograde motion). The planets’ erratic motions, which did not fall into a simple scheme and did not obey elementary rules, seemed to indicate the existence of their personal will and encouraged their deification by ancient peoples. This and also such “awesome” phenomena as lunar and especially solar eclipses, the appearance of bright comets, and bursts of new stars gave rise to the pseudoscience of astrology, in which the positions of the planets within the constellations and these “awesome” phenomena were associated with events on earth and were used to predict the fates of peoples and individuals. Despite its lack of the slightest scientific basis, astrology, which exploits people’s superstitions and ignorance, has nonetheless become widespread and has been accepted by many peoples for a long time. Thus, many rulers, military leaders, and nobles retained special astrologers whom they consulted when making decisions. According to the principles of astrology, the casting of horoscopes, from which imaginary predictions were made, required a knowledge of the zodiac’s position with respect to the horizon at the given moment, as well as the positions of the planets. This led to increased astronomical observations, to more accurate determinations of the periods of motion of celestial bodies, and to the formulation of the first theories of planetary motion, which were very incomplete. Thus, astrology, despite its absurdity, at a certain stage promoted the development of the science of astronomy. Geocentric system of the world. The perfection of the theories of planetary motion required a thorough knowledge of geometry, which was developed in Greece (not earlier than the fourth century B.C.). At that time, Eudoxus of Cnidos, a predecessor of Aristotle, formulated the theory of the homocentric sphere, which has come down to us through Aristotle. According to this theory, each planet is attached to the surface of a hollow sphere that uniformly rotates within another sphere that also rotates about an axis that does not coincide with the axis of rotation of the first sphere. The earth was located at the center of these spheres. The representation of the complex motion of several planets required several such concentric spheres, the total number of which was calculated as 55 by Calippus, a student of Eudoxus. Later, in the third century B.C., the Greek geometer Apollonius of Perga simplified this theory, substituting circles for the rotating spheres. His theory formed the basis of the theory of epicycles, which was finally completed in a treatise known as the Almagest by the ancient Greek astronomer Ptolemy (second century B.C.). It was assumed that all heavenly bodies moved in circles and in uniform motion. The irregular motions of the planets—changes in directions of their motion—were explained by assuming that the planets are simultaneously participating in several uniform circular motions, occurring in different planes and at different velocities. The earth, whose sphericity was taught as early as the sixth century B.C. by the Pythagorean school, was considered to be at rest in the center of the universe. This notion coincided with the direct impression derived from the appearance of the starry sky. The earth’s circumference was measured in the third century B.C. by Eratosthenes in Alexandria. In practical applications, the theory of epicycles required the values determining the rotation periods of the planets, the relative inclinations of their orbits, the lengths of the arcs of retrograde motion, and data that could be obtained only through observations by measuring the corresponding time intervals and angles. To accomplish this, different devices and instruments were invented; in the beginning there were simple devices such as the gnomon; later, more complex devices such as the triquetrum and the armillary sphere were used. The latter two made it possible to determine the ecliptic coordinates of the “fixed” stars. Lists (catalogs) were prepared in ancient times by Shih Shen (China, fourth century B.C. ), Timocharis (Greece, third century B.C. ), and Hipparchus 150 years later (Greece, second century B.C.). Hipparchus’ catalog lists 1,022 stars with their ecliptic latitudes and longitudes and magnitude ratings based on a conventional scale of star magnitudes that is used to this day. While comparing his own catalog with that of Timocharis, Hipparchus discovered an increase in the longitude of all the stars and explained this by the motion of vernal equinox, from which the longitude is calculated. This led to the discovery of the phenomenon of precession. Middle Ages. Ptolemy’s Almagest, which summed up the astronomical knowledge of his time, for many centuries remained the fundamental treatise on the geocentric system of the world. The emergence of Christianity with its dogmatism, as well as the invasions of the barbarians, led to the collapse of natural science, particularly astronomy, during the Middle Ages. In the course of an entire millennium in Europe, little was added to and much was forgotten about what was known through the work of ancient scholars about the structure of the universe. The Holy Scriptures were law, from which answers to all questions were drawn, including those in astronomy. Only the Arabs and the people they came into contact with made an attempt through new observations, if not to reform, then at least to refine old theories. In 827, al-Mamun, the caliph of Baghdad, ordered a translation of Ptolemy’s work from Greek to Arabic. At the turn of the tenth century, the Arabic scholar al-Battani conducted many observations, deriving more precise values for annual precession, inclination of the ecliptic to the equator, and the eccentricity and longitude of the perigee of the sun’s orbit. Also in the tenth century, the Arabic astronomer Abu al-Wafa discovered one of the disparities (anomalies) in the motion of the moon. Major contributions to the development of astronomy were made by Abu Rayhan Biruni (Khwarizm, end of the tenth century), author of varied astronomical studies. Astronomy continued to flourish among the Arabic peoples and in Middle Asia until the 15th century. Many major scholars studied astronomy along with other sciences in order to improve the accuracy of astronomical constants of the geocentric theory. Especially well known were the astronomical tables prepared in 1252 upon orders from the Castilian ruler Alfonso X by a group of Jewish and Moorish scholars and called Alfon-sine tables. Observational astronomy developed in Azerbaijan, where Nasir al-Din al-Tusi constructed a large observatory in Maragheh. The most prominent observatory in size, quantity, and quality of instruments was the observatory of Ulug Beg in Samarkand, where in 1420–37 a new large star catalog was prepared. The Arabs rescued Greek classical astronomy from oblivion, renewed the planetary tables, and developed the theory; however, after Ptolemy they did not introduce fundamental changes in astronomy. 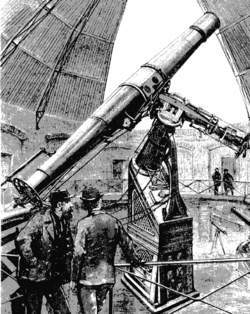 During this era, astronomical observations were also conducted in China and India. In the 12th and 13th centuries a revival in the natural sciences also began to take place in Europe. Gradually, and not without the influence of the Arabs, the more enlightened people became acquainted with the science and philosophy of the ancient Greeks, whose treatises were translated into Latin, often from Arabic. Aristotle’s teachings agreed with church dogma: the geocentric system of the world did not contradict the Scriptures. In Italy, and then in other countries of Western Europe, universities were established, which, although under the strong influence of ecclesiastical scholasticism, promoted the development of the natural sciences. Heliocentric system of the world. With the expansion of navigation and geographical exploration requiring more precise knowledge of the positions of stars and planets, several outstanding astronomers, mainly German, renewed observations to perfect the planetary tables. Geometry was taught in the leading universities, since it was necessary for mastering the theory of epicycles, and students studied the Almagest, several Latin translations of which were published in Venice (1496, 1515, and 1528) and Basel (1538). All of this favored the discovery of the Polish astronomer N. Copernicus, who acquainted himself at the University of Kraków and later in Italy with all the details of the theory of epicycles. He then returned to Poland and produced a total upheaval in astronomy by revealing the actual structure of the planetary system with the sun in the center and the planets revolving around it, including the earth with its satellite, the moon. Well before this event, in the third century B.C., the ancient Greek astronomer Aristarchus of Samos expressed the idea that the earth moves around the sun, and Heraclitus even earlier conjectured that the earth rotates about an axis. However, only Copernicus worked out and substantiated in every detail a heliocentric system of the world; he subsequently presented it in the work On the Revolutions of Heavenly Bodies, published in Nuremberg in 1543. This work was the key to understanding the universe in its actual structure and not in the form of mathematical abstraction that described only the visible aspects of phenomena. However, the centuries-old deeply rooted ideas about the motionless earth at the center of the universe, which were shared by the church, did not yield to the new theory for a long time; this was not understood even by many of the most outstanding people of that time. It was considered that the Copernican system was only a hypothesis intended for calculating planetary motions, an idea promoted by the publisher’s introduction to Copernicus’ book, printed without the author’s knowledge. Even the most prominent observer, the Danish astronomer Tycho Brahe (16th century), refused to accept or even understand the heliocentric system. Copernicus’ theory was finally established by the Italian physicist, engineer, and astronomer Galileo (second half of the 16th century to the first half of the 17th century), who obtained indisputable proof of its validity. G. Bruno (16th century), another ardent advocate of the plurality of inhabited worlds, was burned at the stake in Rome after seven years of imprisonment for this theory, which was considered to be heretical from the church’s point of view. Galileo’s astronomical discoveries were made with the aid of the telescope, which had been invented shortly before in Holland. Galileo, learning of this invention, made his own telescope during the summer of 1609 in Venice and by the beginning of the following year informed the whole world of his remarkable discoveries. He saw mountains on the moon and discovered discs around planets; the Milky Way proved to consist of innumerable stars that were invisible to the naked eye; and in the Pleiad star cluster he counted more than 40 stars. Then he discovered four satellites of Jupiter, which, revolving around the central planet, formed a miniature copy of the planetary system. The discovery of changes in the phases of Venus testified to the fact that Venus revolves around the sun and not the earth. He also detected spots on the sun, sharing this discovery with the German astronomers C. Scheiner and J. Fabricius. And only then, when the heliocentric system of the world received such brilliant corroboration, did the Catholic Church take measures to ban it, feeling that it undermined the authority of the Holy Scriptures. In 1633, Galileo was forced to repudiate the teachings of Copernicus before a court of the Inquisition. Copernicus’ work was put on a list (index) of forbidden books; this prohibition was officially removed only after 200 years. Development of celestial mechanics. J. Kepler, Galileo’s contemporary and Tycho Brahe’s assistant in Prague, after Tycho’s death attained unsurpassed accuracy in his observations of the planets conducted over more than 20 years. Kepler’s particular attention was attracted by Mars, in whose motion he noted significant departures from all earlier theories. By dint of tremendous work and extensive calculations, he succeeded in discovering the three laws of planetary motion, known as Kepler’s laws, which have played a major role in the development of celestial mechanics. The first law, which states that the planets move in elliptical orbits whose foci are located at the sun, destroyed the thousand-year-old idea that the orbits of the planets must be circular. The second law determined the variable velocity for the motion of a planet in its orbit. The third law established a mathematical relationship between the dimensions of elliptical orbits and the periods of revolution of the planets around the sun. The tables of planetary motion compiled by Kepler on the basis of these laws markedly surpassed in accuracy previous tables and remained in use throughout the entire 17th century. Further progress in astronomy was strongly tied to the development of mathematics and analytical mechanics, on the one hand, and with the successes of optics and astronomical instrument-making, on the other. The law of universal gravitation, discovered by I. Newton in 1685, became the foundation of celestial mechanics. Kepler’s laws were a consequence of this law, but only for the particular case of a planet moving under the effect of attraction of only one central body—the sun. It became clear that actually in the presence of the mutual attraction between all the bodies of the solar system, the motion of the planets is more complex than described by Kepler’s laws, and if the latter are still valid for a good approximation, then this is the result of the strong predominant attraction of the massive sun over the attraction of all the remaining planets. Gravitational force, which is expressed by a simple formula for the attractions between two material points, leads to very complex mathematical formulations for the case of several particles or the attraction between bodies consisting of many particles. Such is the case with all the bodies of the solar system, as well as with all cosmic bodies in general. The most complex problem of the motions, the shapes, and the rotations of the planets and their satellites was solved with a high degree of accuracy only as a result of the efforts of many mathematicians, most of all Newton and then J. Lagrange, L. Euler, P. Laplace, C. Gauss, and a number of others. There were brilliant confirmations of the fact that the motion of celestial bodies proceeds basically under the influence of gravitational forces. These included the prediction by the English astronomer E. Halley of the next appearance of the comet now bearing his name, which was brilliantly confirmed, and the calculations by the French scientist A. Clairaut of the moment of transit of the comet through the perihelion in 1759; the discovery of Neptune in 1846 based on the calculations of the French astronomer U. Leverrier; and the discovery by means of calculations of the unseen satellites of several stars, which were subsequently observed with large telescopes—for example, the German astronomer F. Bes-sel’s calculations in 1844 of Sirius’ and Procyon’s satellites. The most complex motion is that of the moon around the earth, but even this was worked out to almost perfect precision. The remaining small deviations from theory in the moon’s motion, which were earlier attributed to some sort of nongravitational effect, have been explained in the 20th century as errors in calculating time resulting from the irregular rotation of the earth. In this manner celestial mechanics, using data supplied by astrometry, was able to explain and calculate in advance with a very high degree of accuracy almost all the motions observed in the solar system as well as the galaxy and paved the way for extremely difficult experiments—the launching of artificial earth satellites and space probes. Telescopic observations. The perfection of the telescope proceeded very slowly at the beginning. Compared to Galileo’s telescope tube, Kepler’s proposal to replace the diverging eyepiece lens with a converging lens, which widened the field of view and enabled much greater magnification, was an improvement. Kepler’s simple eyeglass was then improved on by C. Huygens and is still used today. However, as a result of chromatic and, in part, spherical aberration, the images continued to remain diffused with colored fringes. To reduce the effects of aberration, it was necessary to increase the focal length of the lenses to as much as 45 m, maintaining their relatively small diameters, since at that time large blocks of optical glass could not be cast. However, even with such imperfect instruments, a number of important discoveries were made. For example, in 1655, Huygens discerned Saturn’s rings; to Galileo, Saturn’s disc appeared to be elongated or a triple image. Huygens discovered the brightest satellite of Saturn, and G. Cassini discovered four more, less brilliant satellites. In 1675, Cassini noted that the ring consisted of two concentric parts separated by a dark band known as the Cassini division. In 1675, by observing the eclipses of Jupiter’s satellites, O. Roemer discovered the finite nature of the velocity of light and measured it. Further improvements in optical instruments took a different course. Erroneously thinking that the dispersion of light is proportional to refraction, Newton concluded that it was impossible to make an achromatic lens. This served as an impetus for the creation of the reflector, in which the image is formed by a concave mirror that is essentially free of chromatism. The gradual perfection of the art of polishing mirrors made from tin-copper alloys facilitated the construction of large high-magnification reflectors. Thus, in 1789, W. Herschel (England) increased the mirror’s diameter to 122 cm. However, beginning in the middle of the 18th century, refractors also received substantial improvements. During this time high-dispersion glass (flint glass) was produced and double lenses combining two types of glass appeared. Along with a significant reduction in chromatism, such lenses were also free from spherical aberration. This made it possible to reduce the length of the telescope tube, to increase the penetrating strength of the instruments, and to obtain a sharp image with little fringe chromatism. With the aid of new instruments, expert observers made many discoveries relating not only to the bodies of the solar system (such as the discovery in 1761 of an atmosphere on Venus and the study of comets by M. V. Lomonosov) but also to the world of faint and distant stars. Many star clusters and nebulas were discovered; nebulas at that time were considered to be star clusters in which individual stars were not visible because of the cluster’s distance. The first catalogs of such objects were prepared in France by C. Messier in 1771 and 1781; his specifications are still used today. As a result of extensive systematic observations, W. Herschel postulated the boundedness in space of the stellar system and thus strengthened J. Lambert’s hypothesis (1764) about the existence of many stellar systems, of which the one which includes the sun is bounded by the Milky Way. Only in the 20th century did this theory of an island universe receive confirmation and further development. The role of the telescope in astronomy is not exhausted by such discoveries. Perhaps of more importance is the use of the telescope for precise angle measurement. In England in 1640, W. Gascoigne installed crosshairs in the telescope’s focus; the crosshairs were visible in the observed object’s background and thus increased sighting accuracy by many times ten. He also invented the first eyepiece micrometer for measuring the small angular distances between details of images that were simultaneously visible in the telescope’s field of view. In France in 1667, J. Picard furnished telescopes with concentric circles from which angle readings were made with accuracies to the second of arc. This also determined the corresponding accuracy of measurements of the spherical coordinates of stars, without which further progress in astrometry and stellar astronomy would not have been possible. Having applied such instruments to his works in triangulation in France, Picard obtained new, more accurate dimensions of the earth, which Newton used to discover the law of universal gravitation. Measuring the relative positions of the components of binary stars with the aid of an eyepiece micrometer, W. Herschel in 1803 established that many of them formed physically bound mutual gravitational systems consisting of two and sometimes more stars revolving around a common center of mass in accordance with Kepler’s laws. This conclusively proved the universality of gravitation in all parts of the universe. Comparing his telescopic determinations of the coordinates of stars with those of the ancient Greeks (Hipparchus, Timocharis), Halley noted in 1718 that three bright stars—Aldebaran, Sirius, and Arcturus—had changed their positions to such an extent that it could not be explained by errors in previous observations. Thus, the proper motion of stars was discovered. By 1783 the number of stars with known proper motion had increased to 12. Studying them, W. Herschel concluded that part of the proper motion of every star is a reflection of the motion of the solar system in space and determined the direction of this motion (toward the constellation Hercules). All of this helped to initiate the study of the distribution and motion of stars in the Milky Way system, which was subsequently called a galaxy. Telescopic observations led the English astronomer J. Bradley in 1725 to the discovery of light aberration, which he correctly explained by the finite velocity of light, and in 1748 to the discovery of nutation of the earth’s axis. One of the most fundamental and difficult problems in astronomy has always been the determination of the astronomical unit—the mean distance between the earth and the sun—which is the basic unit of measurement for all distances in the universe. Many attempts have been made to solve the problem, and all of them, as the methods and technology of observation improved, have led to larger and larger values of this unit. The first results that approximated the actual value were obtained using the methods proposed by Halley—observing the transit of Venus along the solar disc from various points on the earth in 1761,1769,1874, and 1882 and thus determining the parallax of the sun. The latter, together with the knowledge of the earth’s dimensions, makes it possible to calculate the astronomical unit. Numerous expeditions were made to observe these transits. The first expedition was apparently conducted in Northern Europe and Siberia. S. Ia. Rumovskii of the St. Petersburg Academy of Sciences observed the transit at Selenginsk, near Baikal. The analysis of all observations led to a solar parallax value from 8.5” to 10.5”. Rumovskii observed the transit in 1769 in Kola, and I.I. Islin’ev observed it at Yakutsk. However, the hopes of making an accurate determination of the sun’s parallax were not realized, and after discoveries in 1801 of asteroids, some of which came close to the earth, another possibility of determining the important astronomical constant appeared. As a result of determinations made in the 19th century, the value of 8.80” was accepted for the parallax of the sun, which fixes the value of the astronomical unit at 149.5 million km. In the 1960’s, on the basis of radar measurement, the astronomical unit was determined to have a value of 149.6 million km. Of fundamental importance were the first determinations of the distances to stars from measurements of annual parallax. As observations improved, it became clear that parallax, in essence a perspective of star displacement caused by the annual movement of the earth around the sun, is of extremely small value. Attempts to detect such star displacements, which were begun shortly after the brilliant discoveries of Copernicus and which led to a series of startling discoveries—aberration of light, the physics of binary stars, and invisible satellites of the stars—were unsuccessful for a long time. By the time of W. Herschel it became apparent that the parallaxes of even the nearest stars did not exceed 1”, and such angles could not be measured with the instruments of that time. Only V. Ia. Struve in 1837 at Dorpat and F. Bessel in 1838 at Königsberg succeeded in making the first reliable measurements of the parallaxes for the stars Vega and 61 Cygni. Thus the first correct scale of distances in the universe was determined. Struve’s and Bessel’s work was based on visual telescopic observations. Since the beginning of the 20th century, measurements of star parallax have been conducted using exclusively astrophotographic methods. The subsequently found star that is closest to us has a parallax of 0.76” and thus corresponds to a distance of 1.3 parsecs (4.3 light-years). An important trend in astronomy was the preparation of star catalogs containing the most accurate coordinates of stars. The value of these catalogs is so great that they have been referred to as the foundation of astronomy. They are needed for scientific purposes, in part to determine astronomical constants and to study motion in the universe, as well as for applied purposes—geodesy, cartography, geographical exploration, sea navigation, and astronautics. Observatories at Greenwich (founded in 1675), Pulkovo (1839), Washington, D. C. (1842), and Capetown, South Africa (1820), have contributed much in these areas. At the end of the 18th century information about the solar system was enriched by the discovery of the planet Uranus in 1781. Study of the principles of its motion led in 1846 to the discovery of Neptune and in 1930 to the discovery of Pluto, the farthest planet from the sun. In 1801 the first asteroid was discovered; presently (end of the 1960’s) more than 1,700 such bodies are known. Some of them are of great interest because of the character of their motion (for example, the Trojan asteroids) and others because of their close passage to the earth. Development of astrophysics. Until the middle of the 18th century, of the branches of astronomy constituting modern astrophysics, only photometry, which was initially limited by visual estimates of the brightness of stars, received experimental development in the works of the French scientist P. Bouguer (1729) and theoretical grounding in the studies of the German scientist J. Lambert (1760). It was finally shown then that the sun is a star that differs from other stars only in its proximity to us and that if it were removed to stellar distances it would in no way differ from other stars. Study of a number of stars of different dimensions led V. Ia. Struve in 1847 to deduce the existence of light absorption in interstellar space, a phenomenon finally verified in 1930 by the American astronomer R. Trumpler. Great and ever-increasing possibilities for investigating the physical nature and chemical composition of stars have been made through the development of spectral analysis (R. Bunsen and G. Kirchhoff, 1859). W. Huggens and J. Lockyer in England, A. Secchi in Italy, and P. J. Janssen in France pioneered the application of spectral analysis to the sun, stars, and nebulas. In 1842 the Czech physicist C. Doppler formulated his renowned principle, the Doppler effect, which was refined by A. Fizeau in 1848 and experimentally verified by A. A. Belopol’skii under laboratory conditions in 1900. Doppler’s principle received widespread application in astronomy in measuring motion along the line of sight, the rotation of stars, the turbulence in the sun’s photosphere, and other phenomena and in the most diverse branches of physics. Spectral analysis facilitated a more intensive study of variable stars, which began around the end of the 18th century. It also helped detect many spectrally binary stars, whose components are so close to each other that they cannot be observed separately even with the most powerful telescopes. Photography, invented in 1839, received wide application in astronomy when dry photographic plates appeared. Photography was especially useful when combined with photometry, spectroscopy, and astrometry. It permitted detailed and in-depth study of the structure, chemical composition, and motion of various celestial objects. Photoemulsions used as radiation detectors with great success replaced the eye in many astronomical observations, increasing accuracy, objectivity, and data storage and also fixing visually elusive, rapidly occurring processes and the presence of faint celestial bodies. The advantages and possibilities of photography became so evident that in 1888 an international plan was initiated to prepare a photographic catalog of the stars of the entire sky, including those as small as the 11th star magnitude (a total of about 3.5 million), and to prepare maps containing about 30 million stars to the 14th star magnitude (about 22,000 pages). Execution of this plan involved the participation of 18 of the world’s observatories. Since then, astrophotography has occupied a permanent place in astronomical observations. Twentieth century. Astronomy in the 20th century is characterized by major advances in observation techniques. Large reflectors are being built in which the metallic mirrors, which darken rapidly, are being replaced with glass mirrors, which are chemically silver-plated or aluminum-coated by high-vacuum cathode sputtering. In the USA several large reflectors have been built: in 1908, with a mirror diameter of 152 cm; in 1917, 254 cm; in 1948, 508 cm; and in 1959, 305 cm. In the USSR a reflector with a 260-cm mirror became operational in 1960; a reflector with a mirror 600 cm in diameter is being mounted. Such instruments with modern light detectors can detect stars to the 25th star magnitude. These are 1010 times dimmer than the brightest stars. Major success has been achieved in producing new types of detectors. The sensitivity of photoemulsions has been increased by many times, and the spectral region has been widened. Photoelectric multipliers, electron-optic converters, methods of electronic photography, and television (television telescopes) have significantly increased the accuracy and sensitivity of photometric observations and, moreover, have extended the spectral range of recorded radiation. Improvements in spectral apparatus permitted obtaining spectrograms with very high dispersions on the one hand and recording the spectra of very faint celestial bodies on the other. It became possible to observe distant galaxies located billions of light-years from us. A new, rapidly growing branch of astronomy—radio astronomy—was born when it was discovered in the 1930’s that we receive electromagnetic radiation in wave bands from millimeters to meters from many points in the celestial sphere. Many of the sources of this radiation were identified as galaxies. However, in the 1960’s powerful sources almost point-like in nature were located that proved to be faintly luminous objects with unusual optical spectra; they lacked dark absorption lines and had only a few emission lines. The latter could be identified as lines of hydrogen and of several other elements. They were very strongly shifted toward the longer wavelengths; the red shift, subsequently interpreted as the Doppler effect, attests to their immense distance of billions of light-years from us. These puzzling objects, whose radiation apparently is synchrotonic, are called quasars. Even more puzzling are the radio-emitting sources of power varying with periods of the order of seconds, called pulsars. With the help of radio astronomical observations, the distribution of interstellar hydrogen in the galaxy has been studied and the galaxy’s spiral structure has been confirmed. The energy of the stars, and specifically of the sun, is generated in their inner depths by nuclear processes at temperatures reaching tens of millions of degrees. These processes are accompanied by the emission of special particles—neutrinos—possessing high penetrating ability. The study of neutrinos led to the formation of yet another branch of astronomy—neutrino astronomy. Modern computer technology has found wide application in processing observations and has opened up new vistas in stellar mechanics and astrophysics, particularly in the calculation of the motion of artificial satellites and interplanetary rockets. Significant advances have been made in the study of the sun. Special narrow-band filters have made it possible to study the distribution and motion of individual elements—hydrogen, helium, and calcium—in the sun’s chromosphere. The development of special methods and apparatus permitted the study of the sun’s corona on clear days when there is no eclipse; the Zeeman effect permitted the study of the sun’s magnetic field, which determines a number of solar and terrestrial phenomena. Considerable new information has been obtained about the motions of stars and the distances to them. However, direct trigonometric methods of determining parallax even with modern measurement accuracy is limited by distances of about 100 parsecs. Methods that have been worked out to determine the luminosity of stars according to the character of their spectra have made it possible to determine distances to more distant stars by means of photometry. Finally, the pulsating variable stars—cepheids—whose period of brightness variation is closely related to luminosity, also became objects that allowed astronomers to measure distances to remote star clusters and galaxies where these stars are observed. As a result of the extensive work of Russian and Soviet scientists, intense development has taken place in the study of variable stars. An international center for systematizing these studies is located now in Moscow. Great interest has been centered around the red shift, a phenomenon theoretically foreseen by the Soviet scientist A. A. Fridman in 1922 and studied by the American astronomer E. Hubble in 1929. In this phenomenon, the spectral lines of distant galaxies are shifted toward the red. If the shift is interpreted as a Doppler effect, then it indicates that the galaxies are receding at speeds proportional to their distances: in other words, the observable part of the universe is generally expanding. With respect to our galaxy, the red shift made it possible to measure the galaxy’s dimensions and total mass and to indicate that the sun’s position is far from the center of the galaxy. The rotation of our galaxy was detected on the basis of statistical analysis by the Russian astronomer M. A. Koval’skii in 1859 and was studied in detail by the Dutch astronomer J. Oort in 1927. Of great importance in the study of stellar systems and stellar evolution is the relationship between luminosity and spectral class as expressed by the Hertzsprung-Russell diagram. This enables astronomers to form a clearer picture of a star’s life cycle. Progress in modern physics helped to locate and study sources of stellar energy and to develop a theory of stellar evolution based on nuclear processes occurring in the inner depths of stars. In turn, results of astrophysical research have significantly influenced the successes of nuclear physics. The idea of evolution developed much earlier in astronomy than in other natural sciences. The cosmogonic hypothesis formulated by I. Kant as early as 1755 clearly reflected this idea. The recognition gradually developed that the world did not come into existence as the result of a single act of creation but that the formation of stars, planetary systems, and other celestial bodies is a continuous process still in progress. Confirmation of this idea was seen in the regularities of stellar associations, the study of which was begun by V. A. Ambartsumian in 1946. These associations consist of widely dispersed clusters of relatively young stars of similar origin whose age is estimated to be the same, at several millions of years, while the age of our sun is calculated to be in the billions of years. Study has begun of another important cosmogonic factor that plays a major role in the processes of the interstellar medium—interstellar magnetic fields. Earlier cosmogonic theories developed considering only inertial forces and forces of universal gravitation; today, however, other effects, such as light pressure and magnetic forces, are taken into consideration. Scientific work in astronomy is conducted at astronomical observatories and scientific research institutes. The most important among these are the long-established Greenwich Astronomical Observatory (founded in 1675), now moved from the outskirts of London to the south of England to Hurstmonceaux Castle; the Pulkovo Central Astronomical Observatory of the Academy of Sciences of the USSR (1839) near Leningrad; the P. K. Shternberg State Astronomical Institute, which includes the Moscow Astronomical Observatory (1830); the U.S. Naval Observatory (USA, 1842); the Royal Observatory (South Africa, 1820); the Lick Astronomical Observatory (USA, 1888); the Yerkes Astronomical Observatory (USA, 1897); the Crimean Astrophysical Observatory of the Academy of Sciences of the USSR, formed from the Simeiz Observatory established in 1908; and the Biurakan Astrophysical Observatory of the Academy of Sciences of the Armenian SSR (1946). Because of the multitude of bodies studied in astronomy, the question arose long ago of coordinating and unifying scientific efforts in various countries by the organization of international astronomical societies and the publication of appropriate journals. The journal Astronomische Nachrichten, which was of international importance until World Warl, was founded in 1821 in Germany. In other countries where astronomical research is developed, scientific astronomical journals are also published; for example, in the USSR the Astronomicheskii zhurnal has been published regularly by the Academy of Sciences of the USSR since 1924. An astronomical society—Astronomische Gesell-schaft—was formed in Germany in 1863; it organized the compilation, by 13 observatories in various countries, of a large catalog with accurate coordinates of stars in the northern celestial hemisphere. To a certain degree the British Royal Astronomical Society also played an important international role. After World War I, the functions of coordinating scientific work were transferred to the International Astronomical Union, established in 1919, which holds large conferences every three years to sum up results and discuss plans for the further development of astronomy. In pre-revolutionary Russia there were several small scientific or amateur societies, on the basis of which the Ail-Union Astronomical-Geodetic Society was formed in 1932. The first artificial earth satellite was launched by the USSR in 1957. For the first time, scientific devices were carried beyond the limits of the earth’s atmosphere, which, with its limited transparency, turbulence, and heterogeneity, inhibits and greatly restricts astronomical observations. The development of extra-atmospheric astronomy began to have an extremely promising future. Astronomy itself, which until now was only able to observe but not to control phenomena in the cosmos, is now becoming an experimental science, capable of investigating cosmic space and studying celestial bodies, particularly the moon and the closest planets, by experiments carried out on these bodies. In the not too distant future, astronomical observatories will be constructed on the moon. However, only the correlation of extra-atmospheric observation with surface-based ones will give the most complete and valuable understanding of the universe. Vorontsov-Vel’iaminov, B. A. Mir zvezd. Moscow, 1952. Vorontsov-Vel’iaminov, B. A. Ocherki istorii astronomii v SSSR. Moscow, 1960. Vorontsov-Vel’iaminov, B. A. Ocherki o Vselennoi, 5th ed. Moscow, 1964. Bakulin, P. I., E. V. Kononovich, and V. I. Moroz. Kurs obshchei astronomii. Moscow, 1966. Lavrova, N. B. Bibliografiia russkoi astronomic he skoi literatury, 1800–1900. Moscow, 1968. Bigourdan, G. L’astronomie. Paris, 1916. [Shapley, H., and H. Howarth.] Source Book in Astronomy. New York-London, 1929. Waterfield, R. A Hundred Years of Astronomy. London, 1938. Newcomb, E., and R. Engelmann. Populäre Astronomie, 8th ed. Leipzig, 1948. Source Book in Astronomy, 1900–1950. Edited by H. Shapley. Cambridge, Mass., 1960. The science concerned with celestial bodies and the observation and interpretation of the radiation received in the vicinity of the earth from the component parts of the universe.